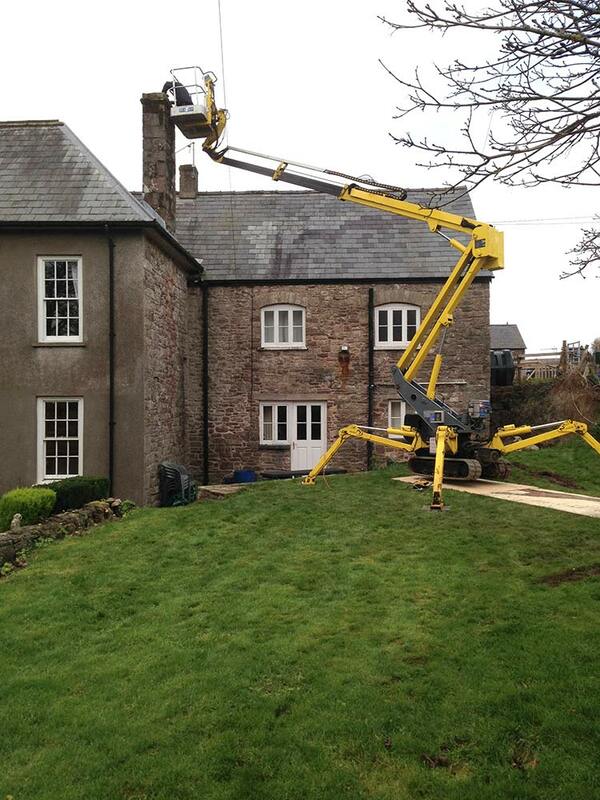 With our tracked access platforms we can reach a working height of 17 metres or 55 feet with two operators in the basket. Our equipment is light weight and can access narrow pathways and will even drive through a normal domestic doorway as it measures only 32 inches or 80 cm wide. The platforms are available for hire with an experienced operator. Ideal for one day hires to undertake inspection or quick repairs where scaffolding would be cost-prohibitive. Contact us for more details or to arrange a site survey and quote by using the phone number shown above, or click in the header of any page to email us about your access hire needs.